4K HDR experience can't get any better than this. Planet Earth II in 4K can be hands down considered the best wildlife documentary ever made, the 4K resolution simply transforms it into a near live experience. You may well imagine yourself taking a helicopter ride, viewing our amazing planet in aerial view as it takes you on a journey never experienced before. Planet Earth II comprises of 6 episodes, each relating to a particular geographical landscape, namely islands, mountains, deserts, jungles, grasslands and cities and explore in great depth the challenges and adaptation of the wild life in each terrain. The 'cities' episode also covers the infamous leopards, which tend to encroach the urban territories of Mumbai. It is a real thrill to watch nature in such proximity. Anyone who has experienced the Planet Earth II 4K at Auditro, has been completely floored by the beauty of the rich, dramatic content in such pristine quality. ⁠Sonodyne Genie 5.1 set @ just Rs. 39000/- This tiny Genie has been cleverly designed to deliver big sound, and meet the needs of both high fidelity and lifestyle audio. The Genie 1 is a micro monitor … with a difference. Due to its innovative enclosure and driver design, it has a frequency bandwidth unheard of in other speakers of its size. The Genie 1 clings to walls, stands upright on floors, and sits smartly atop tables. It can thus be negotiated into tight corners and premium floor spaces. 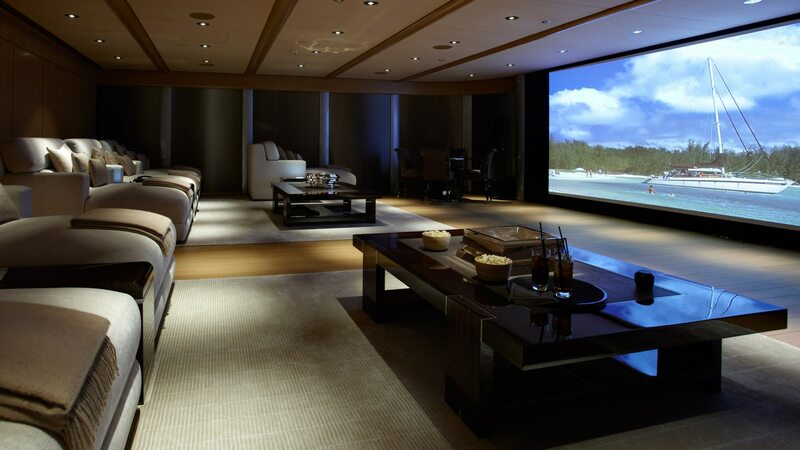 Let us help you setup the perfect AV system We, at AUDITRO, are into setting up of home audio systems with projection systems at most competitive prices available in the market. our customers would vouch for our service and accessibility. we ensure your AV setup is installed to your satisfaction, is up and running, and also you fully understand the nitty gritties of your system to utilize to it's maximum potential. A great AV setup is an important fixture of the lifestyle today. since high definition content and even ultra HD is making ways into your homes, your AV gear should be ready to perform. Contact us on the best recommendations suiting your needs and budget and you can be assured of the perfect AV setup that will keep you hooked forever. Build a Home Theater system for Rs. 65000/- (Best Deal ever) We are offering a combo of Denon AVR-X520 BT (5x 130W 4K Ultra HD A/V Receiver with Bluetooth) and set of Sonodyne Genie 1 Satellite Speakers (5 pieces) with 80 watt GL 8 subwoofer at only Rs. 65000/- (against package MRP of Rs. 78, 900). Product Overview The perfect combination of high performance and high value, the Denon AVR-X520BT delivers superb sonic fidelity along with a host of advanced features that includes compatibility with the latest HDMI specification, along with the latest HDCP 2.2 specification that’s required for 4K Ultra HD copy-protected content. The video section features 5 HDMI inputs, 3 of which feature 4K Ultra HD/60 Hz full frame rate and 4:4:4 Pure Color sub-sampling pass-through for the ultimate home theater experience. Our exclusive Denon Setup Assistant quickly and easily guides you through the setup process, which includes automated speaker configuration and optimization using the supplied measuring microphone. Featuring Bluetooth wireless audio streaming, the AVR-X520BT is also equipped with a convenient USB port on the front panel for streaming your favourite tracks and charging your portable device, and the Denon 500 Series Remote App lets you control the unit via your Bluetooth device. The tiny Genie has been cleverly designed to deliver big sound, and meet the needs of both high fidelity and lifestyle audio. The Genie 1 is a micro monitor … with a difference. Due to its innovative enclosure and driver design, it has a frequency bandwidth unheard of in other speakers of its size. The Genie 1 clings to walls, stands upright on floors, and sits smartly atop tables. It can thus be negotiated into tight corners and premium floor spaces. This Genie is available in ivory, silver streak, champagne gold and charcoal black. The GL 8 is a compact subwoofer ideal for the .1 channel for packages with satellite speakers like the Genie 1 or Genie 2 or IWO in small rooms. It has a robust Class AB 80 watt amplifier that drives a new 8" high excursion transducer. It provides excellent low frequency response at a great price and from a small footprint.